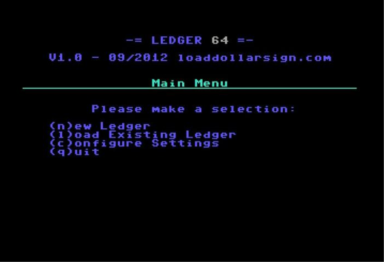 Ledger 64 is a personal bank account records keeper I wrote, to help me keep track of my savings and spending. It makes use of two SEQ files, stored on disk, to keep track of account names and their balances. It can also be run via the Comet64. However, do have a data disk in your disk drive for account setup and if you wish to save any transaction activity.